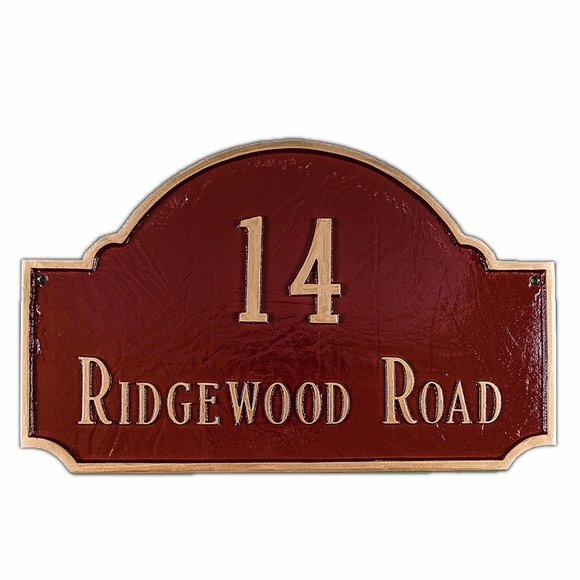 Extra Large Personalized 2 Line Address Plaque - - larger than most estate size plaques, this ornate arch plaque measures 26.67"W x 16"H and holds up to five 8" characters. Made in USA. Two lines with up to five 4.5" characters on line 1 and up to 17 characters on optional line 2. If you are ordering a 1 line sign, please leave Line 2 input box blank.